A variety of sterling silver bubble wands featuring various stones are available. 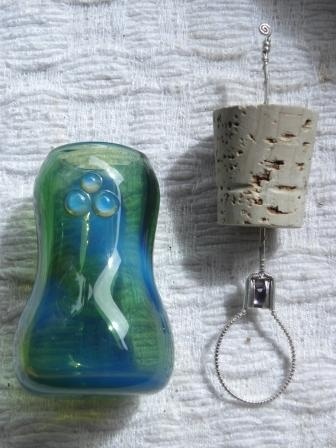 Each wand comes with a unique glass bottle and cork, hand-blown by Big Island glass artist Richard Rodriguez (Lavaman Glass). Prices start at $90 and vary depending upon stones used. To purchase or inquire, please contact the artist directly at stonedesignsjewelry@gmail.com.